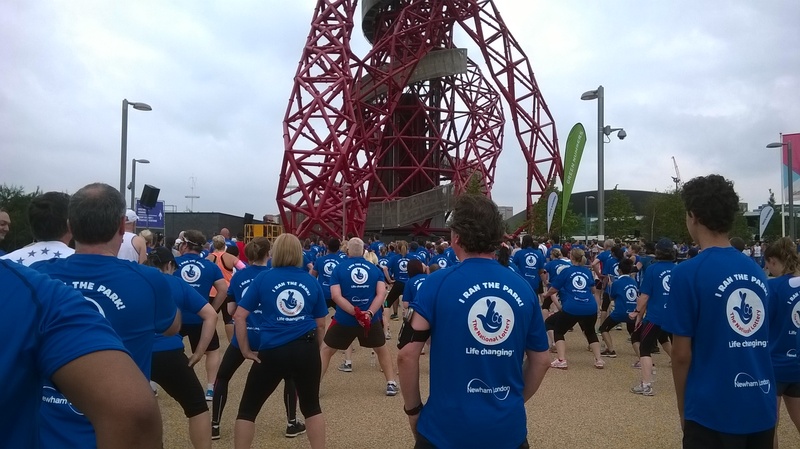 This weekend I took part in the National Lottery’s Anniversary Run (or #runthepark as it was known) at the Queen Elizabeth Olympic Park in Stratford. I intended to just blog about the run itself but the evening’s media coverage irked me so much I felt I had to also comment on the question of the country’s waning, or otherwise, Olympic legacy. This will be a longer blog post than normal – I apologize in advance but hopefully it has some merit! But first, the run itself. 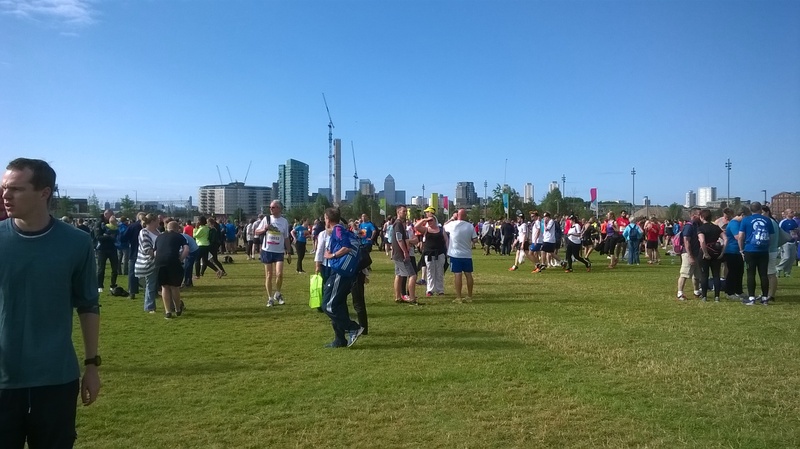 I took part in last year’s event and the big attractions then were the finish in the Olympic Stadium and the fact that two friends/family members could come in and see me and thousands of others cross the finish line. Such was the interest that the initial run entry closed very quickly and I left it too late. Then subsequently there was a ballot for additional places and I was lucky enough to get in. 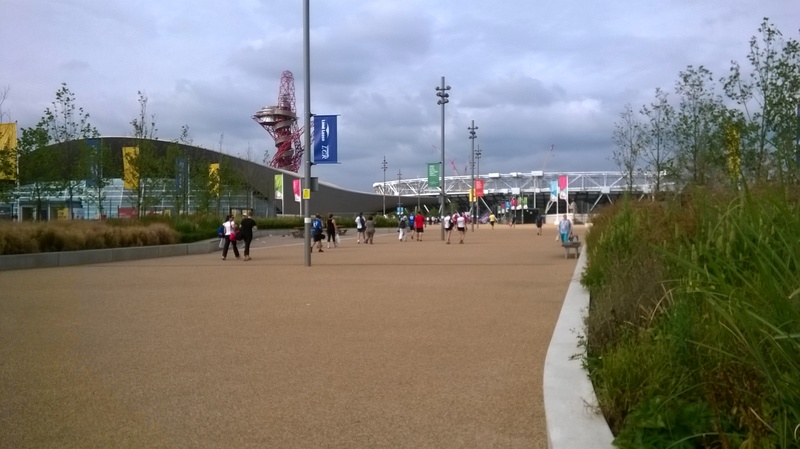 After missing out in the ballot for Olympic tickets in 2012, this was a wonderful opportunity to see the Park which had been so spectacularly shown off by television coverage. This year’s run took a different route with no big Stadium finish. We were, however, guaranteed priority entry for next year’s run when the plan is to have the finish again in the revamped Stadium. After I secured my place in this year’s run, social media promotions indicated that there were still a few places left. It was obvious that the run was not quite so popular this year. I will return to this subject later! On my journey to Stratford, an American tourist on the station platform and a woman I sat next to on the train both asked what run I was taking part in. 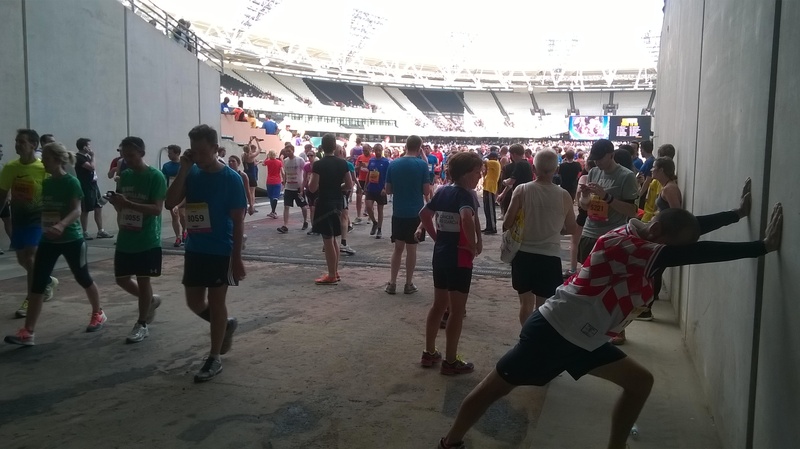 I was probably the only runner at Ebbsfleet International not wearing the official top but it was way too hot for a t-shirt, technical/wicking properties notwithstanding! (Now if I had been in normal dress, would either have struck up conversation with me?) Both of them were runners, indeed the female and I had a conversation about parkrun. Running (and probably other sports) seems to break down barriers and open up conversations like nothing else. On arrival at the Park I made my way over to the start area and en route was able to see firsthand some of the new landscaping around the venue. Once at the assembly area I made myself “comfortable”, settled down on the grass to admire the view, take some photos and massage my leg/ankle. After around a quarter of an hour, I looked up and turned around. OMG! Snaking behind me was possibly the longest toilet queue I’ve ever seen! How had that happened in such a short space of time? I would have taken a photo but I don’t think it would have done the line justice. There were still people queuing as we were given our final calls to starting pens. Sir Chris Hoy returned to start the run (he wants to be careful or we might expect him back every year!). The four different waves went off with well organised efficiency. This year’s course was indeed different. We headed out towards the former Athletes Village but which is now a local residential area. Then we ran back into the Park to circumnavigate the Velodrome (at least this year I knew that’s what it was and not some random cafe in the middle of the park). We strode past the former Media City and the Copperbox which was recently re-opened as a local sporting and entertainment venue. 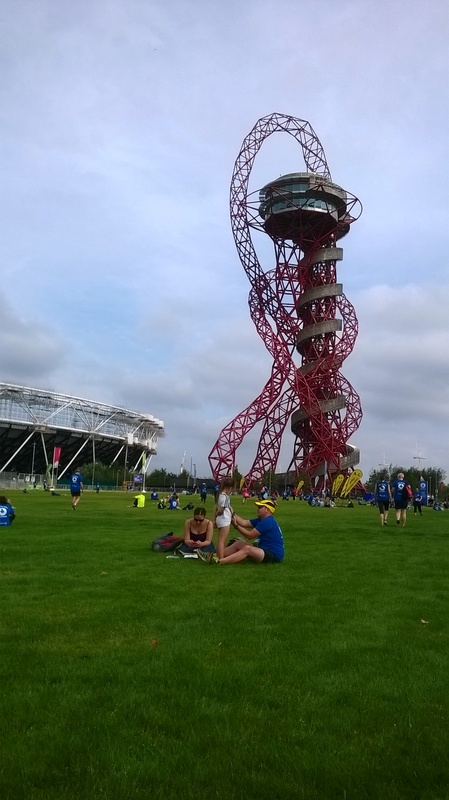 We then came back towards the Stadium/Orbital Tower via the Aquatics Centre. There were plenty of opportunities to see how the area is evolving. I have to say that despite the sun fortunately not showing its face until after I had finished, it was very hot and humid. We were constantly advised to keep hydrated during the run and warned this was not the occasion to try for PBs. The misting shower between miles 3 and 4 was very welcome and I did have to resort to sharing some of my drinking water with my head. The man with his hand held water spray just passed the finish line was very welcome too if somewhat novel. I’m assuming he was there officially! Last year I blew up around mile 4 and it would have been very easy for that to happen again this year. But I was determined to keep going and once I saw the “300m to go” sign, I knew I couldn’t give in. I crossed the finish line in 44’ 30” which yes, is a PB for me but then I’ve only done that distance once before (last year) and it wouldn’t have taken very much to beat that time! Still I was quicker than I expected so I was a happy bunny! As I made my way back towards Stratford International a little while later, I passed many families making their way towards the start area in preparation for the Family Run. 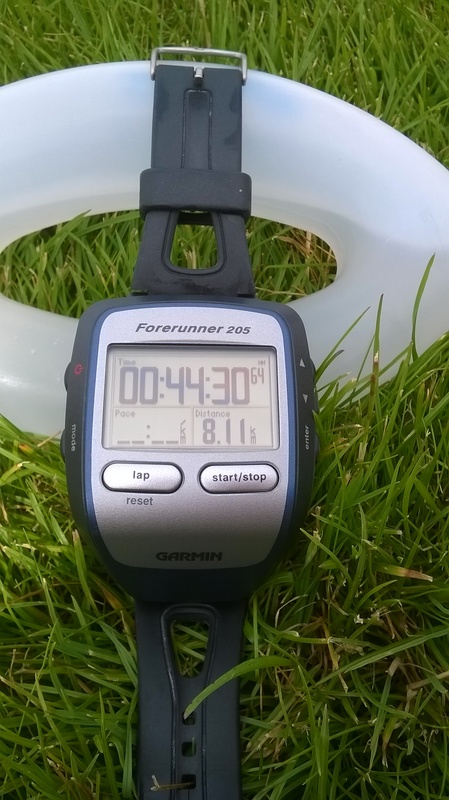 There were many small people proudly wearing their run numbers and enthusiastically “warming up”! It was also very pleasing to see that a large number of people were using the Park as just that, a venue for a family day out and there was plenty going on without the run. As well as taking part in the Anniversary Run, last year I was also extremely lucky to go to the Anniversary Games. This year, the Run and the Games were taking place on the same day. As a previous attendee of the latter, I was given priority access to tickets. The problem, however, was the venue was at Horse Guards Parade. As much as I would love to have gone, I already had my place in the Run and I wasn’t too sure of the logistics of finishing the Run, getting home and making myself presentable and travelling back up to that part of London again. And once I’d seen the price of the tickets, my decision was easy. The cheapest was £50 and at the time there was no clear timetable of what or who you would see. Regretfully, I decided not to go and had my fingers crossed that there would be some television coverage. Well, what a sensible decision! During the pre-amble at the Run we were advised on several occasions that if we took our run number along to Admiralty Arch later in the day, we would get four free tickets for the evening session of the Games! I had already surmised that, as with the Run, the tickets for the Games had obviously not sold as well as last year and indeed had received several emails regarding ticket promotions. But if every one of the 7,000 runners had turned up with their numbers, would there have been 28,000 seats available? Just a little bit risky on behalf of the organisers! Anyway, I was home in time to watch the coverage of the afternoon session and I did notice empty seats around the arena. Then later in the evening, I caught the local news coverage on both the BBC and ITV. What a difference! 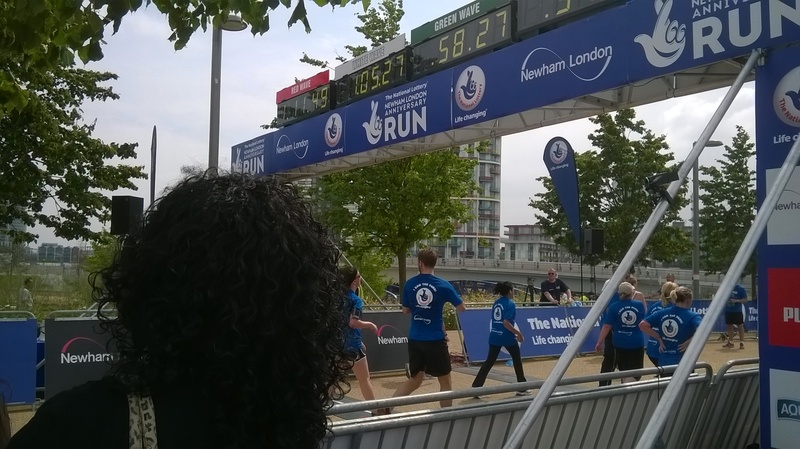 Whilst the BBC coverage was positive about both events and highlighted the free run places offered to Newham residents in an attempt to increase local activity levels and sports participation, ITV decided to be the voice of doom and gloom, reporting that only half the number of runners took part in this year’s run compared to last year and that visitors to London were more interested in watching the Changing of the Guard at Buckingham Palace rather than the sporting events going on in The Mall. Their suggestion was that the Olympic Legacy had significantly diminished. I’m not so sure the reduced number of runners and empty seats had anything to do with a diminishing Legacy. Judging from the reaction in my starting pen when mention was made of the free places afforded to Newham residents, many had taken up the opportunity. I believe the Stadium finish last year was a massive draw and will be again next year. As far as the Anniversary Games themselves are concerned, I feel the price would have been a big stumbling block. 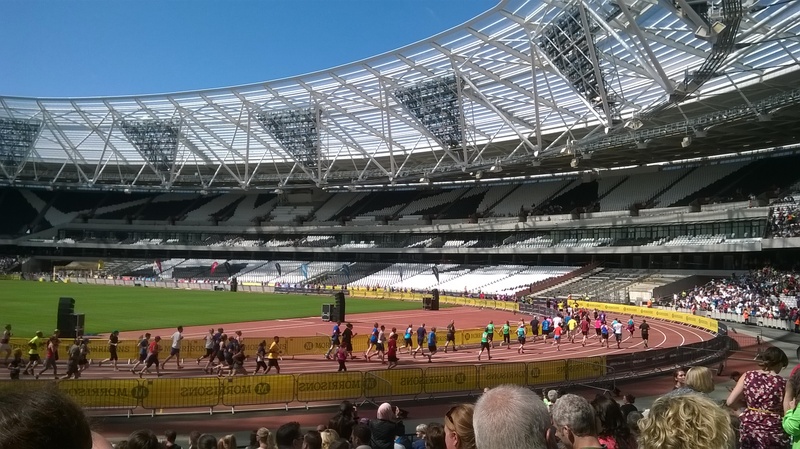 For £50 last year, I had a seat overlooking the finish line whereas this year, it would have seen me sitting at the opposite end of the arena to the finish line. Although it would have had a brilliant view of the pole vaulting event, at the time of the initial ticket application there was no definitive running programme so I could have been looking at an unused area. In addition to the events happening in the Parade, there were also a few races going on in The Mall and these were free to watch. The television coverage I saw showed plenty of people enjoying the spectacle. Perhaps the ITV cameras were filming at a time when there were no events happening, and to be honest the Palace always has visitors hovering outside the gates whatever’s going on in the Mall as evidenced whenever I’ve taken part in the BUPA London 10000m. That doesn’t mean there’s any less interest in athletics and other sporting events! Could the poor ticket sales have perhaps been down not just to the prices but also to the open nature of the venue and the unpredictable nature of the British summer weather (or should that really be predictable)? At least a stadium event offers some form of shelter, whether from rain or sun, at some point during proceedings. And the weather was something which crossed my mind when deciding whether or not to go. When researching the meaning of legacy, I came across a couple of explanations which I thought appropriate, one global and one more personal. The global definition is “something we inherit from past generations and pass to our future generations”. The more personal is “what we remember about a person” and I shall come back to that at the end. 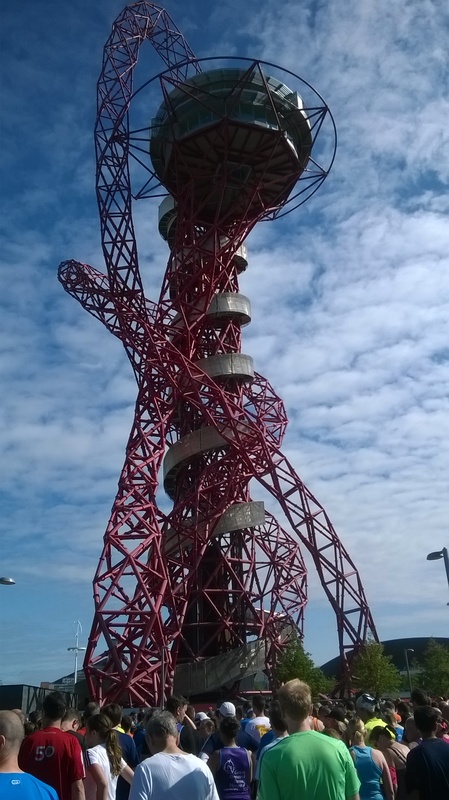 The London 2012 Olympic Legacy has economic, regeneration, social and volunteering aspirations as well as sporting goals. This latter has been further defined as “continuing elite success, development of more sports facilities and encouraging participation in school sports and wider”. When you think about the redevelopment of the different sporting venues, not just the ones I’ve already mentioned but also the Lee Valley Watersports Centre and presumably further afield in Weymouth; and from a purely running perspective, the success of the Anniversary Family Run, together with the continuing expansion of parkrun and junior parkrun, how can ITV claim that the legacy is waning? I don’t personally think the desire to take part has waned. Maybe some of you will disagree? Coming back finally (hurrah I hear) to the personal definition of legacy – “what we remember about a person”. When I was younger, my Dad used to watch athletics and I could never quite understand the attraction, I used to think how boring. Now if I’m around when there’s a Diamond League event or some other form of athletics meeting on the television, I’m stuck in front of the box. The distraction of the Olympics in 2012 was bad enough – nothing got done. Heaven help me now we have the Commonwealth Games starting this week. Television bum sores ahoy! I only wish my Dad was here to see the change in his daughter and that we could watch together!